This has been on my mind lately because I STILL feel this way, probably more so. 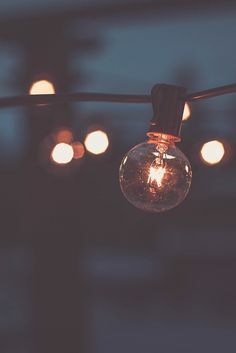 My life is a little topsy-turvy at the moment, but Sir is consistent and He keeps me from falling away… I’m quite thrilled to not have to choose the lightbulbs!! Last January was a little crazy, mostly in my head. I was trying with all my might to begin this D/s. My Husband, of course, was being methodical and slow in His learning and embracing of the dynamic. I was desperately wanting to charge full-steam-ahead, but so very scared – it led to many tearful talks, many emails, many texts, many more not-so-tearful talks. I found hope and promise in the smallest of things, I would latch on to scraps just to have something to build on. One year ago, on January 14, 2013, my Husband sent me a text that included only the link to these lyrics. I read it with tears in my eyes, then watched the video, then read the lyrics again (and then a few more times). In my eyes, that began the transition from Husband to Sir, and even though it was many months before we fully incorporated D/s into the whole of our lives, I view this song as a turning point and it holds a special place in my heart.